Cloth-to-wood type. 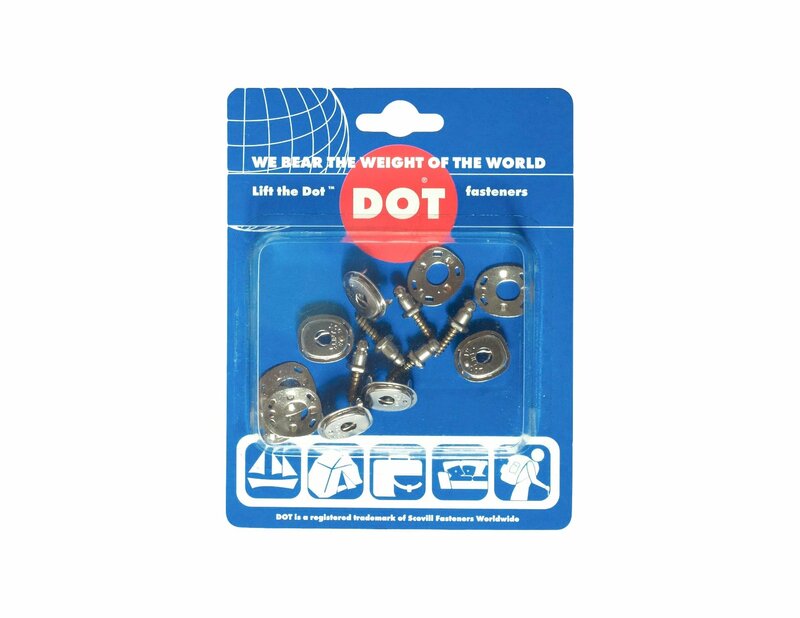 Each card contains five 3-part sets with screw-in pegs and sockets in nickel plated brass). 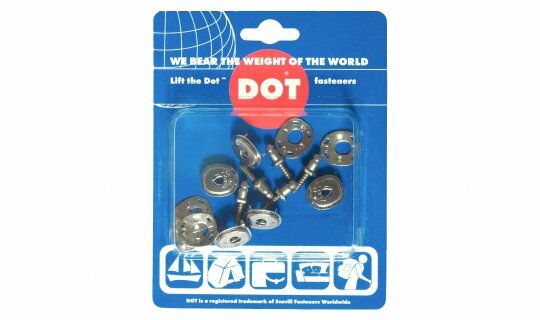 Strong and heavy duty, Lift-The-DOT fasteners lock on three sides and are opened by lifting the fourth side which is marked with a stamped Lift-The-DOT logo. Lift-The-DOT is available in a variety of socket prong lengths and stud heights to accommodate a wide range of material thickness. All items are available in nickel plate, NATO black brass and brass gilt.